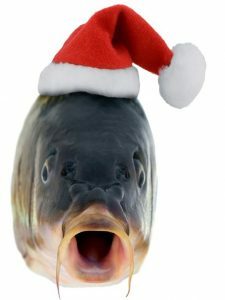 Adie Baker is now taking names for the Clubs Christmas Match which is being held on The Paddock Lake, Acorn Fishery on Sunday 2nd December. £20 for members, £25 non members. Draw 09.00 The Bridge Inn Yatton, breakfast available from 08.00, fish 10.00 – 15.00. Lots of prizes plus raffle. Contact Adie on 07988 736722, priority to Club members so book in early. All key holders of Kenn Rd. Car Park please note…..The lock has been changed by the Environment Agency due to a Fly Tipping problem and it is evident that a vehicle has been driven in to dispose of the rubbish. There is no further access to the car park to current key holders until further notice. We have been given one new key which allows us access for match day parking. Hopefully this issue can be resolved soon. If anyone has information on Fly Tipping at this sight please let us know. Thank you. 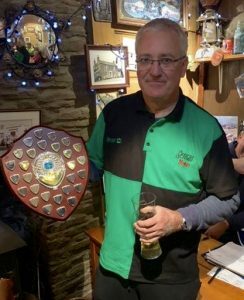 Clevedon Freshwater Angling Club held the annual Dave Fowler Senior Memorial Charity Match on the River Kenn in aid of ‘’Springboard’’ which assists children with additional needs and disabilities. Changeable and cold conditions meant the fishing was always going to be difficult and it did turn out that way with fish tightly shoaled towards the outfall. Chris Hook drew lucky peg 7 and initially started on the Feeder getting bites from small roach but then switched to the pole which increased his catch rate as well as the size of fish. He had a busy day and went on to weigh 12lb 6oz which was good enough for a match win. Barry Fowler made the mid week practice pay off from peg 2 weighing 11lb 12oz of roach and second place, he also won the ‘’guess the winning weight’’ prize. 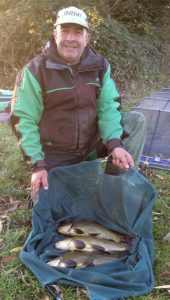 Third place was filled by Matt Davis from peg 4 with 10lb 4oz. 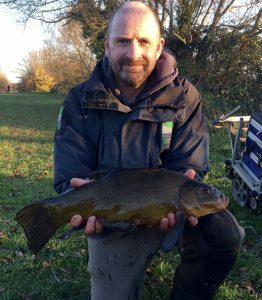 Above Strode Road bridge it was incredibly hard but four unseasonal tench were caught, the largest 5lb which fell to Match Secretary Adie Baker. A total of £251 was raised for the Charity. The Club would like to thank local Tackle Shops for their support as well as Ecolab, The Bridge Inn and The Blue Flame Public House.